Luckily for clinical research associates (CRAs), the life sciences industry is rich with opportunities. There are CRA job opportunities all over the world thanks to international clinical trials and the rapid globalisation of many pharmaceutical, medical device, biotechnology, and food and cosmetic companies. Yet, it is not always possible for CRAs to achieve their career ambitions within a short period and, as a result, CROs are continuously battling with a high staff turnover. Retaining CRA talent is a big problem for CROs, and ProClinical wanted to explore some possible reasons behind this. Perhaps gaining a better understanding of what CROs look for when hiring will help to improve job satisfaction for CRAs. Realistically, CROs require their CRAs to travel a lot, as this is the basic nature of clinical research monitoring. Depending on the organisation, study size and CRA job, this could mean carrying out as many as eight to ten site visits per month. However, the next project could involve far fewer site visits. Understandably, the thought of travelling up and down the country up to 10 times a month is off-putting but it’s important to remember that CROs will usually try to assign a CRA to a region to minimise the distance travelled. The most fundamental aspect of a CRA role is carrying out a variety of tasks including site initiations, close-out visits and clinical trial monitoring. Coming to terms with the fact that CROs will expect CRAs to demonstrate a high level of flexibility and a willingness to travel is crucial to improving relations between them. If a candidate shows reluctance to carry out a high number of site visits, the CRO may be unwilling to hire in fear of the CRA leaving if their travelling schedule increases. 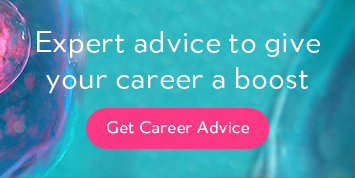 Our advice would be: at the start of your CRA career take the time to really revel in your role, whether it’s the contact with patients, the chance to travel, working with onsite physicians, the variety of projects or the exciting clinical trial environment. Putting the effort in and spending a few years cultivating a reputation for flexibility and reliability will pay off in the long run when you choose to progress to a senior CRA or clinical project manager job. When looking to hire CRAs, CROs will look for those who can demonstrate a genuine passion for their role and the wider pharmaceutical industry. Those whose passion goes beyond clinical trial monitoring and extends to their desire to be a pivotal part of the clinical development process. The most successful individuals won’t be in the clinical research industry for the money, but because they enjoy working towards making a change in people’s everyday lives and understand how their CRA job works within the bigger picture. At ProClinical, it is our privilege to speak to these passionate clinical research professionals on a daily basis, and we too are safe in the knowledge that we’re making a positive contribution to the pharmaceutical industry by placing them in the best CRA jobs possible. The drug development industry is fuelled by hard-working, dedicated individuals who value saving and improving the lives of people worldwide above all else. Based on a wealth of clinical research recruitment experience, ProClinical has come to understand the main stumbling blocks encountered by CRAs when trying to navigate career progression. While fast career progression may seem appealing, the reality is that you may be better off putting the breaks on and understanding what is realistically beneficial to your CRA career. Moving from a global CRO to a smaller pharmaceutical company may afford quicker progression to a clinical project manager (CPM) job, but if you wish to move back into a larger clinical trial environment it is likely you’ll have to take a step back from your responsibilities because you lack the experience to work within the biggest global trials. The key is to strike a good balance between the size of the studies and the size of the company in terms of the CRA job role. ProClinical has found that individuals who have patience with their career progression, buckle down and get some strong experience behind them for the first few years of their CRA career, will have higher salaries and higher positions open up to them naturally. Those who jump around will find it of no benefit to them, as they’re likely to end up in the same place. It could endanger your chances of progression later on. Try to avoid appearing to pharmaceutical recruiters and CRO employers as a ‘permanent flight risk’ thanks to a track record of job-hopping. This may lead to you being viewed as a temporary solution and not trusted with the most important studies – the sort that could be a significant stepping stone to a promotion, or even career defining. You will not gain the same quality of experience. As mentioned in the previous point, moving on from your first employer without adequate experience is not the best career move. 1 years’ experience in five separate CROs/ pharma companies is not equal to 5 years’ solid experience at, for example, one of the top ten CROs. 5 years’ experience will afford you the sort of in-depth experience that will be highly sought after when you choose to move on. The first 1-2 years are crucial as this is when you learn the ropes and get used to the team, the studies, the protocols, etc. It is not realistically enough time to get an in-depth understanding of what you’re doing and you’ll be merely starting from scratch somewhere else if you move on too quickly. CROs, and some pharmaceutical companies, have an issue with high staff turnover and deal with many flight risks, so proven loyalty to a previous employer will put you far above the rest when you are looking for clinical research opportunities. Many CRAs aim to work for a pharmaceutical company and will often leave a CRO in favour of this. However, CROs often outsource their CRAs directly to the client’s site, meaning that you will get the opportunity to work on projects at leading pharmaceutical companies such as AstraZeneca and Roche anyway – helping you to build up a varied portfolio of clinical studies carried out at several excellent pharma companies. It pays to keep an open mind! CROs can offer better job security. If you are directly employed by a pharmaceutical company and a particular clinical trial ends before it should, you are at risk of redundancy, yet if working for a CRO outsourced to the same clinical trial, you will be simply put onto a different project at another pharma company. If you are interested in working as a CRA for a top ten global CRO, ProClinical has a number of excellent clinical research job opportunities available across the UK and Europe. Apply directly on our website or, alternatively, upload your CV and one of our clinical research recruitment consultants will get in touch about relevant CRO jobs.